Since although I swear I did ‘Somme-thun similar last year; knowing that Good ‘Ol BillyBob Brazenheartz, nee Brian Barnhart was featured prominently, nevertheless, here goes my first ‘Offical crack at my newly anointed Golden Tailpipe Awards... NO coanda effects included! As Jeffery “The Walrus” Belskus’s handling? Of the entire affair was absolutely pathetic & overly disgusting in his inability to handle the matter better, as let’s all recall his primary worry over the tumultuous week presiding over this titanic firestorm. Y’all know when Mr. Belskus said he wished he’d gotten more sleep when asked upon the matter - SPEW! 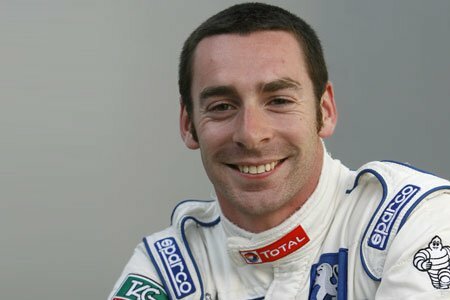 Although I didn’t watch the race, I feel that another Jeff deserves this award, as Jeffery “PrettyBoy Floyd” Gordon really lost whatever respect I’d had given him, if its really true that he completely ignored the black flag issued to him at Phoenix and then drove off in a tizzy and purposely crashed into Clint boywer. As way to go ‘RASSCAR! Handing out that massive $100,000 fine to a multi-millionaire and putting him on double secret probation for one race; OUCH! That musta really put the fear ‘O the France’s into Gordon, eh? SHAME ON YOU NASCAR! Although I’d suppose that Brazil or even perhaps Britain could be considered for this honour, I gave it to Abu Dhabi, albeit not for the reasons you might think? Although I was shouting loudly at thee ‘Telie for Kimi to win, you simply must marvel over Vettel’s coming thru the pack not once, but twice in order to claim third place and probably befuddle the ‘Buh-jesus outta Alonso, right? As I believe this is the drive that secured his third F1 world championship! That was the quip of the year - coming NO less from thee original Iceman, nee ‘Kimster, or Kimi Raikkonen, which Y’all simply have to give it up to the master of Monoslavicism, eh? This isn’t the team’s fault, as this award goes solely to the Fine Folks at “Thespian” Capitol, i.e. ; the bankers at Thesan Capital who simply thought they could flip the team for a profit and instead ran it into the gutter. I’ve always liked Keith Wiggins ever since he came over to IndyCar after his abortive F1 career as a Constructor, as he’s always seemingly gotten more out of what he had to work with. Yet this year it all went horribly “Pear Shaped” with the choice to run the loquacious “Luddi-lump,” nee Lotus engine. And I suppose we’ll never know who did what, as in was Wiggins forced into this choice by not being able of getting one of the elusive Honda or Chevy engine leases? And why wouldn’t Lotus release them from the albatross around their necks? Or better yet, why didn’t IndyCar help HVM out of this predicament... Can you say ‘Greenbacks! Cannot get over how much of a *STUD! * This Tennessean driver is... And yeah, he had moments of blunder, which all rookies are entitled to, yet his audacious passing of King Dario at Long Beach after starting from the front row surely gives us a peak at what to expect in the future, right? Now if somebody would just step up and sponsor this team; URGH!